OnTrac Chief Financial Officer Thomas Fischer represented OnTrac at the Colliers International’s 2017 National Industrial Conference. Fischer was hand-picked by Colliers International’s President of Brokerage Services USA and National Director of Industrial USA Dwight Hotchkiss to participate as a thought leader in the supply chain and logistics industry at the Occupier Panel on Tuesday, September 26, 2017. The conference took place in La Jolla, California at Estancia La Jolla Hotel, 9700 N Torrey Pines Road, San Diego, CA 92037. With the conference theme of Engineering Connections, the panel presentation discussed the topics of supply chain strategies, the impact of the commerce related occupier demand on market rental rates and “Big Box” availability within major industrial markets throughout the U.S., and the role of automation, while also giving attendees techniques to help build their professional and personal lives. Moderated by Colliers’ International’s Head of Supply Chain and Logistics Consulting Gregory Healy, the panel included Macy’s Director of Real Estate Jason Williams, Gordon Foodservice Senior Manager of Real Estate Bill Casey, and Daltile/Mohawk Industries Senior Director of Real Estate Marc Morisseau in addition to Fischer. The panel presented to a total of 500 real estate professionals from around the world. With Fischer’s expertise, he was able to share advice to the crowd of brokers based on his own experiences from his 18-year tenure with OnTrac. Fischer has successfully collaborated in expanding the next day product into the OnTrac eight-state footprint of California, Arizona, Nevada, Oregon, Washington, Utah, Colorado, and Idaho. Today, OnTrac leases 52 properties with over 4 million square feet in use. 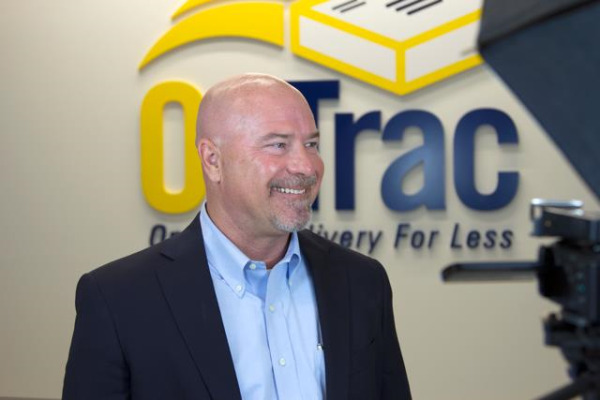 Presently, OnTrac will average five new lease negotiations a year over the next 11 years. Fischer is a graduate of Iowa State University, a member of the American Institute of Certified Public Accountants, the Arizona and Iowa Societies of Certified Public Accountants and the Phoenix CEO-CFO Group. Thomas was awarded 2013 CFO of the Year for the Private Company Category of the Financial Executives International (FEI) Arizona Chapter.